Two Pieces of Sterling Silver Tableware, a Meriden/International oval presentation tray with hammered rim, engraved "American Spaniel Club/Club Team Trophy/1925/For the Best Team of Four Cocker Spaniels/To Be Won Five Times/Won By/Mrs. S.Y.L'Hommedieu Jr.," lg. 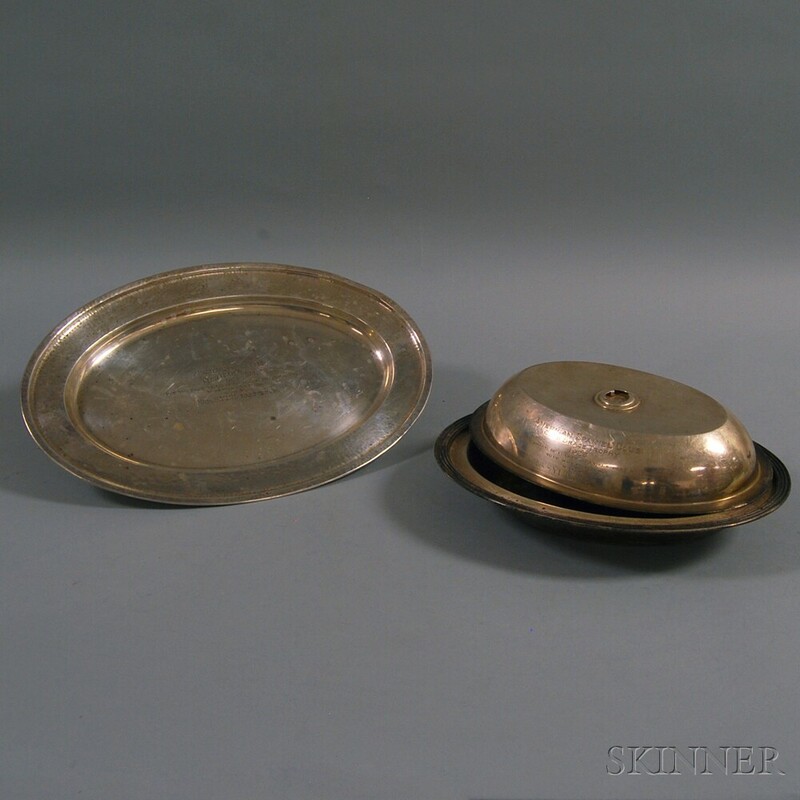 13 5/8 in., and an International covered vegetable dish with reeded edge (lacking handle), approx. 34.4 troy oz. American Spaniel Club, S.Y.L'Hommedieu Jr.